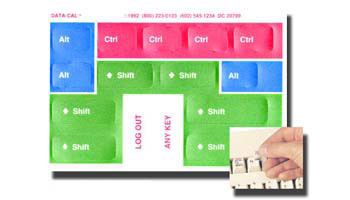 Flash key labels are colorful control key labels for your keyboard to easily locate and press the Ctrl, Alt, and Shift keys on your keyboard. The high visibility labels can increase your typing speed and efficiency. Flash key labels are color coded labels to go on the keyboard Ctrl, Alt, and Shift keys for increased visibility and ease of use.